The annual UFVA Conference represents a unique gathering of academics, media art practitioners and professionals from the media industries, who come together to share new work and ideas in films, videos, new media art.This conference will focus on storytelling in visual media and its theme is “Story First”. With the many panels, screening sessions, script reading and critiquing sessions and workshops, this year’s conference will be the perfect opportunity for members to present scholarly work, receive evaluation of creative work, and monitor the developments in film/video education, scholarship, artistic pursuits and technology – all under the Southern California sunshine! 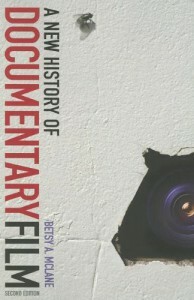 "A vital and essential narrative about the evolution of an art form, from its earliest manifestations around the birth of the moving picture to its modern-day diffusion of genres and sub-genres in the digital era ... As any good history evinces, this New History tells us where we've been and where we're going."